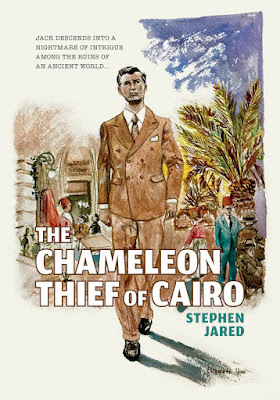 Since his 2011 debut, Jack and the Jungle Lion, I’ve always looked forward to Stephen Jared’s next novel. His retro books are classic movies on the page, trading off between noir and adventure genres. Of the six titles he’s written, the most heartfelt are his Jack Hunter series, which started with that debut, continued with The Elephants of Shanghai (2013) and now reaches intriguing emotional depths in the third installment: The Chameleon Thief of Cairo. Set in the forties, this series revolves around the adventures of movie star Jack Hunter, his wife Maxine “Max” Daniels and his pilot friend Clancy Halloway. 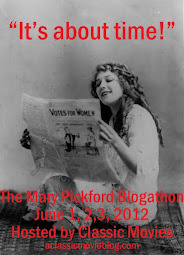 The books have always been engrossing: full of action, romance and engaging characters. I remember being impressed by the flow of the first novel. It really popped. While The Chameleon Thief of Cairo has the thrills of its predecessors, it also has a lot more emotional depth. The Raiders of the Lost Ark-style excitement of the first two novels has matured into something meatier. Time begins to catch up with Clancy and his conversations with Jack, and a new love he meets over the course of his adventures, paint a richer portrait of these characters. This time around the period is post World War II. Jack and Clancy are lured to Cairo to rescue an old friend of the latter, but are greeted with a more complex and dangerous situation than they had anticipated. The horror of the war throws a shadow over all they do and see, and it is clear that some are still fighting and for the wrong side. It is possible to connect with this story without having read the rest of the series, but knowing the history of the characters made it more meaningful for me. I like where Jared is going with Jack Hunter and his crew and look forward to more adventures.